Olivia began her ballet training with the Boston School of Ballet at the age of seven under the direction of E. Virginia Williams. At the age of 16, she became a member of the New England Civic Ballet Company, presently known as the Boston Ballet Company. As a soloist, her performances included Rustic Wedding, which was created specifically for her by Leon Danielian. The work was premiered at the Boston Arts Festival and also performed at the Gloucester Arts Festival. She was then invited to join and became one of the youngest members of the Ballet Russe de Monte Carlo, touring throughout the United States and Canada. Olivia's repertoire included over 50 ballets, and she performed solo roles in such ballets as Coppelia, Swan Lake, Gaite Parisienne, Le Beau Danube, and Sombreros. Her coaches at Ballet Russe de Monte Carlo included renowned artists as Fredrick Franklin, Anton Vilzak, Leon Danielian, and Irina Barovska. A resident of Paramus, Olivia has been teaching in Bergen County and has choreographed for many years collaborating with conductors, composers, lighting and costume designers. Her works have been shown throughout Bergen County, as well as being featured at esteemed venues including Jacob's Pillow Inside/Out Dance Festival, the Global TedMed 2014 Conference at Kennedy Center and Library of Congress, and the MMAC Theater in NYC. Along with her dedication to teaching and choreographing, she has served as Chairperson of the Cultural Committee for the Paramus Schools and has assisted the music department in creating and developing movement into their curriculum. 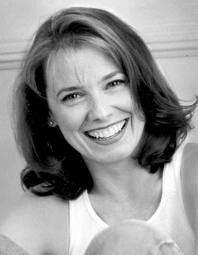 Olivia was the co-owner and co-artistic director of the Classic Ballet School in Closter, NJ for over 20 years. Currently, Olivia is a Director of a local Ballet Program and the Co-Artistic Director of Art of Motion Dance Theater (AOMDT). She is also an adjunct dance professor at Bergen Community College where she teaches introductory ballet classes. Olivia shows her commitment to live music and dance by sharing her love, passion, and expertise with the arts community of Bergen County. She is pleased to have joined the faculty of DDA where she teaches Adult Ballet classes. Isabel received a BFA from New York University School of the Arts. In addition to numerous acting roles in both film and television, Isabel went on to assist and teach for Teacher/Choreographer Nora Peterson. Isabel discovered the Draper Technique through her mentor, master teacher Bob Audy. Bob had the privilege of studying directly with Paul Draper and has spent his career passing on Paul's classic tap technique. Isabel has had the honor of working with Bob Audy for many years. She has assisted him on many projects and has frequently taught for him. They have jointly taught at: interred Radio Store in NY, the Stevens Point Tap Festival in Stevens Point Wisconsin and continue to teach every year at the Big Apple Tap Festival in NYC. Isabel takes great pride in passing on the "Paul Draper/Bob Audy" wisdom and cherishes her continued time with her mentor and friend Boby Audy. Isabel is currently the Associate Director on two upcoming Broadway musicals. M.A., R-DMT, LMT is the Founder/Director of Synergy Arts & Wellness, LLC and the Founder/Artistic Director of Tribute Dance Project. She is currently an adjunct dance professor at Bergen Community College, as well as a professional dancer and dance/movement therapist. Ms. Dishuk performs, teaches, choreographs, and speaks nationally and internationally, and has worked with renowned dancers, composers, choreographers, musicians, theatre directors and producers, costume designers, anthropologists, philanthropists, artists, and special groups from around the globe. In past years, she has served as the Advisor to the BCC WoMen's Club and Bulldogs Dance Team, and continues to serve in the advisory role to the BCC Dance Club; she is also the joint legal-custodian/parent to her two nephews after losing her sister in 2006. Janette graduated from Villanova University (B.A. in Sociology with double minors in Psychology and Education) and holds her Master’s Degree in Creative Arts Therapies from Drexel University. She is registered with the American Dance Therapy Association and is a NJ state licensed massage therapist. Ms. Dishuk has an extensive background focused on community work using dance and the creative arts. She has many years of experience particularly using dance to help children, teens, and families build relationships and community. She has run ballroom and hip hop dance programs for inner city youth and continues to bring her profound love for dance and the arts to various community programs. She has witnessed the positive impact of dance, particularly hip hop and ballroom, on the health and wellbeing of individuals, families, and communities and continues her outreach work with her ensemble of creative artists through TDP. She recently developed a dance program to meet the dance unit requirements within the NJ state physical education standards to include Ballroom/Social dance, classical dance (to include Ballet, Modern, Jazz, Hip Hop, and Tap/Rhythm), and World Dance. She works closely with organizations, schools, medical and mental health facilities for program development and implementation using dance to meet their particular goals, needs, and mission/vision. 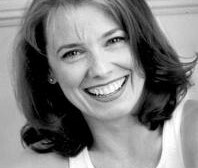 Her work and expertise as a dance professional includes many varied dance/movement genres (Jazz, Improvisation, Modern, Ballet, Tap, Ballroom, Contemporary, World Dance, Creative Movement, Dance Conditioning, Partnering, martial arts, yoga, Pilates, Mind-Body Centering) and runs the full spectrum of performance, dance education, consultation, program development, research, advocacy, public speaking, awareness and fundraising for various causes and issues (i.e., disabilities, cultural diversity, military/veterans, special needs, domestic violence, cancer, etc..) and beyond. Janette is the principal company member with the AOM Dance Theater having solo roles created on her, as well as ensemble and duet work, and serves as Company rehearsal director/assistant as needed. Ravah began her dance career as a classical ballerina in Los Angeles, California. By the age of sixteen, she was working on television as a professional jazz dancer and singer, with ballet as her foundation. She regularly appeared on variety shows including The Carol Burnett Show, Sonny & Cher, The Osmonds, etc. She also performed on several television specials including, Ann Margaret, Goldie Hawn, Liza Minnelli, John Denver, etc. Hghlights of Ravah's career include partnering Mikhail Baryshnikov in two television specials and singing and dancing as a member of Tina Turner's act, all over the world for several years. Choreographers Ravah worked for consistently included, Edward Villella (her first Broadway show) Ron Fields, Michael Peters, Lester Wilson and Joe Bennett, just to name a few. She also performed in several Broadway shows including Pal Joe (as lead dancer) and partnered the choreographer on a Chuck Mangione concert tour. Ravah is currently the Associate Producer of two musicals coming to Broadway.